The You and Me Forever: Marriage in Light of Eternity writer lamented, "We've created a church culture in America where we assume we do nothing until we hear a voice from Heaven. And so if I go to church on Sunday, the pastor's going to preach a sermon [and] we pretty much assume we're not going to do anything radical in response to it unless he gives a really great sermon and gives us steps right afterwards, or this or that or really, really, think that we hear a voice from the Lord." As a result many Christ followers live selfishly while listening to Bible teachings every Sunday, said the Crazy Love author. He writes that these Christians remind him of "the fattest people on earth" who have consumed so much food that they can no longer walk. "They are fed more and more knowledge every week. They attend church services, join small group Bible Studies, read Christian books, listen to podcasts and are convinced they still need more knowledge." Chan explained that continually listening to the Word without applying it has made Christians' ears dull to God's call. "That's the first thing I was taught in seminary before we even started classes: the president of the seminary said, 'look be careful because once you can hear the word of God and do nothing in response then the next time you hear it, it'll get easier, and the next time and pretty soon it becomes a habit and a pattern of you're able to hear the Word of God without a practical response,'" said Chan. "That's a very dangerous place to be and yet, man, that's happening. Every church across this nation, we've fallen into that pattern." The solution, Chan stated, is to act. "Why not assume action? Why do you hear a verse and assume I shouldn't do something in response to that unless the Lord is stopping you?" Chan acknowledges in You and Me Together that some Christians "are paralyzed by a fear of failure." Others, he shared, are afraid that living out God's word means depriving themselves from happiness. "Scripture says that [God's] commands led to life and I think everyone's so afraid to obey His commands because they're scared that if we obey this, this is going to make us miserable and there's no reward it in it," said Chan. Christians, he said, need to tap into their faith. "That's what faith is, you know. Without it, it is impossible to please God and anyone who comes to Him has to believe that He exists and that He rewards those who earnestly seek Him." Chan summed, "True faith is when we believe He's going to reward us whether it be in life now or the life to come. We know there's a reward coming and God wants us to have that kind of faith." You and Me Forever: Marriage in Light of Eternity can be ordered online. The Chans are donating all of the net proceeds from the books to various ministries providing for orphan children and exploited women around the world. You and Me Forever is also available online as a free PDF. 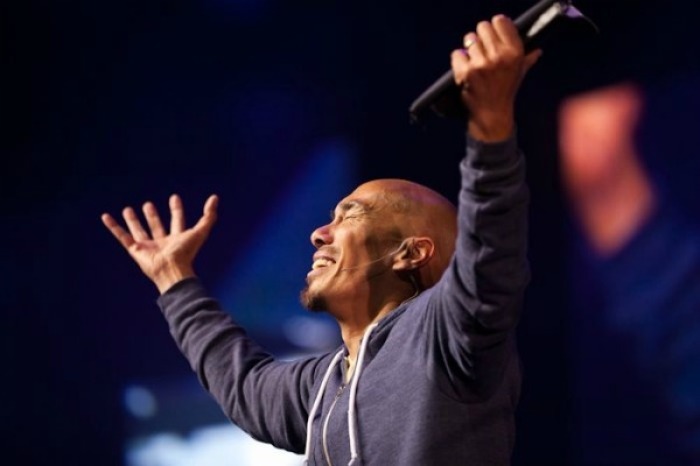 Francis Chan's Church Planting Plan!